When it comes to the iPad and Netflix, we have a rule in our house… No Barbie. My husband and I just don’t love it. I’m sure we’re being a little hard on Barbie. It seems the story lines are predominately about friendship. But there’s also a presentation of perfection in every image, which seems to double down on what it means to be a girl and look like a girl. And I don’t want these impressions to disproportionately shape how my girls see themselves or girls and women. 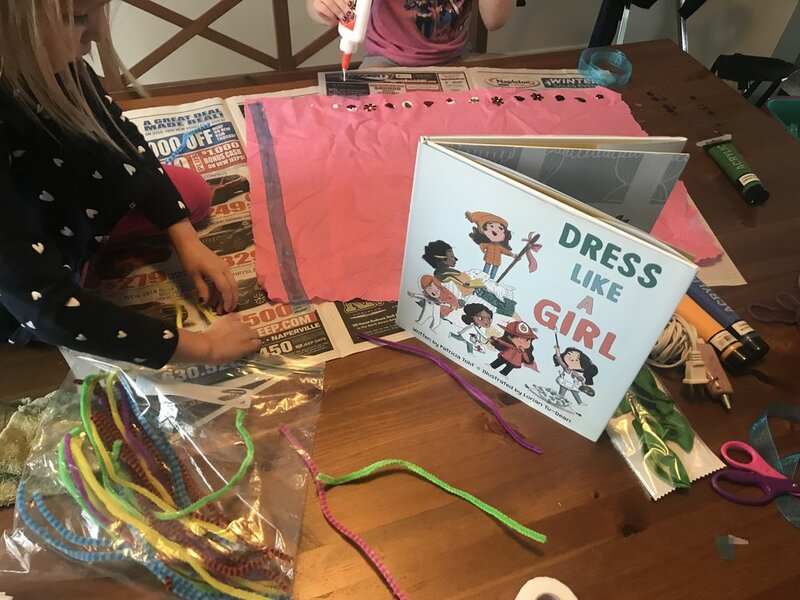 DRESS LIKE A GIRL takes long-standing traditions and ideas about fashion, then gives them a fun flip, showing that the ensembles we wear are so much more than a pretty picture. They offer function, express our personalities and equip us for grand adventures. The “rules” found on each spread will be familiar to grown-ups: white is worn in summer, black is for evening events, be subtle with patterns. It’s fun to see where Toht takes the reader in each rhyme, knowing that a fashion adage will soon be enlivened with new possibilities. The slumber party setting of the story is perfect for frequent costume changes. As the colors and rules are presented, we see little girls giving each look a go. The ensembles that they try on aren’t fairy wings or princess dresses, but judge gowns, police uniforms, chef hats, jungle camouflage and doctor whites, showing girls in professions that are often labeled male. 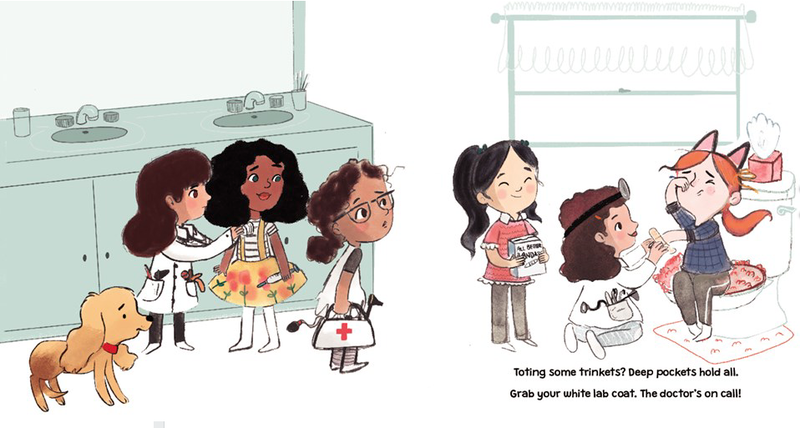 Girls who read this book will see themselves and their friends within the pages. We found ourselves casting the slumber party with the names of my daughters’ pals. I sincerely hope little boys read this book, too. An idea of where a woman fits in the professional world is established quite young. This book’s perspective is one of open doors and open opportunities for women in all career fields. It also shows that girls don’t sit on the sidelines, but instead jump into adventure with both boots. Our girls were home from school two days last week, due to the Polar Vortex’s negative 50 degree windchill. So our arctic adventure needed to be indoors. We took an idea presented in the book and ran with it: If you don’t find a look that works for you, design something new. 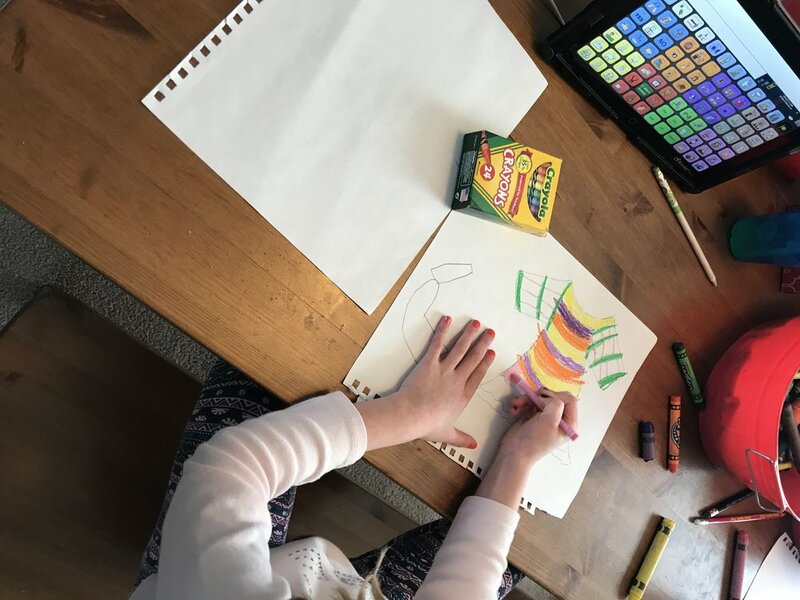 It was a fun way to spend the day - engaging creatively, working within the constraints of material options, and navigating a few design malfunctions. The result was a pretty crunchy and really cute outfit that is awesome because we imagined it and made it together. Indoor arctic adventure: Complete! 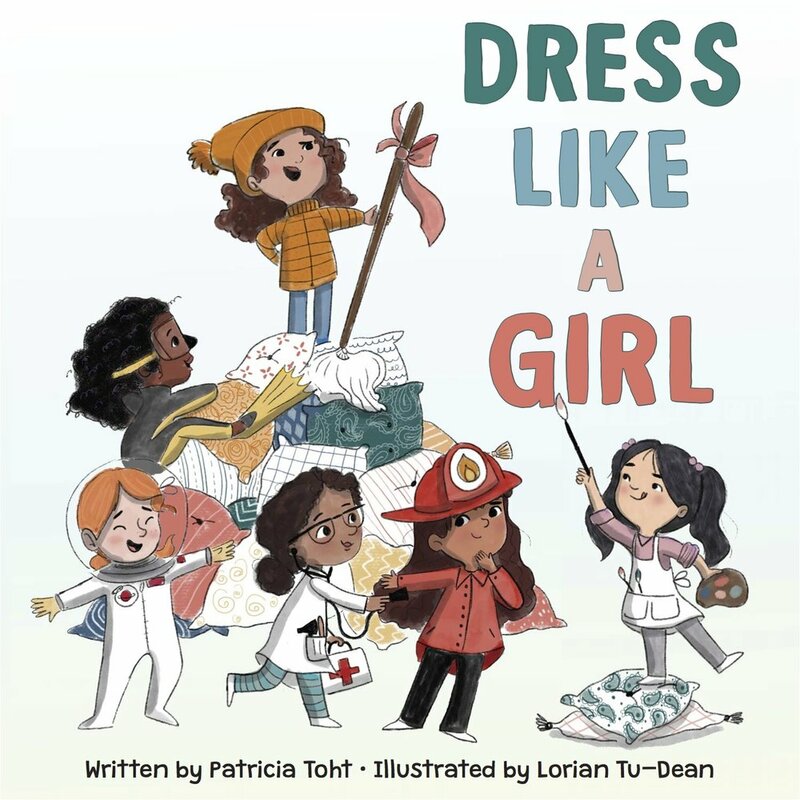 DRESS LIKE A GIRL is available at or through your local bookstore, or via the online bookseller of your choice. Patricia Toht (@PatriciaToht) is the author of PICK A PINE TREE and ALL ABOARD THE LONDON BUS. Lorian Tu-Dean (@LorianTuBooks) is the illustrator of STAY THROUGH THE STORM and MAY GOD BLESS AND KEEP YOU.